Holy moly, I can't believe it's July already, can you?! This means summer is in full effect so it's time to whip out your very best shades and perhaps add a new pair or two to your repertoire. When it comes to shape, I say cat-eye, schmat-eye... I'm currently craving sunglasses as round as the sun they protect you from. 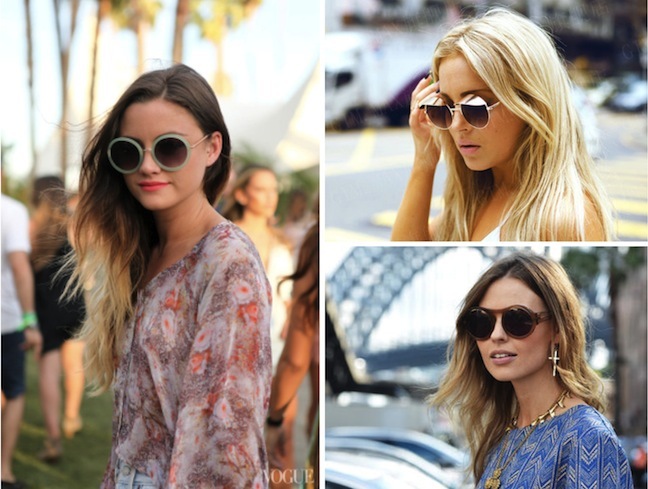 From festival boho babes to sassy street style stars, round sunglasses are on the scene! Colored round frames are summery and soft, while metal frames help give round sunglasses some edge. 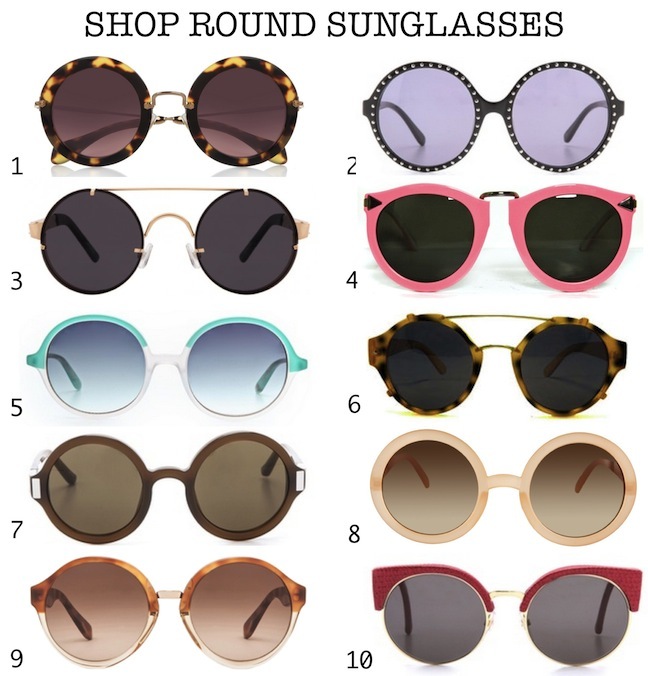 Now that I'm pretty sure we're all craving some round frames in our life, here is my shopping pics for the best round sunglasses. these are so cute! i saw lauren conrad wearing a pair in marie clare. i could not pull these off though! 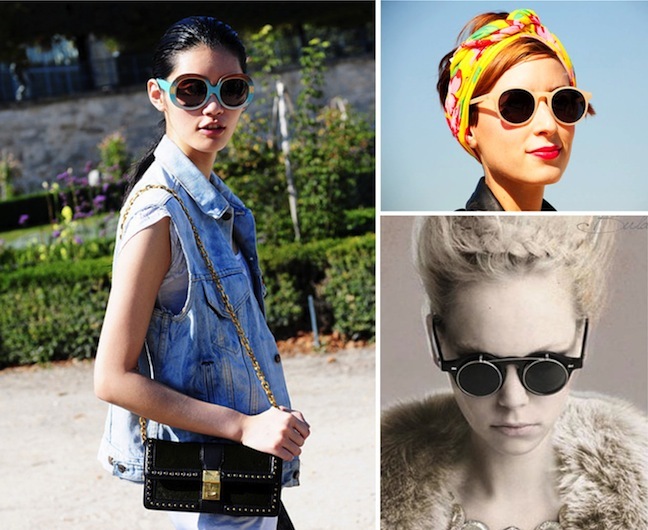 I love the look of these round sunnies, but they don't look as good on my face as cat-eye sunglasses. I love the ones you chose! They really are so cute. Yay so glad this style is back. Love the round specs. 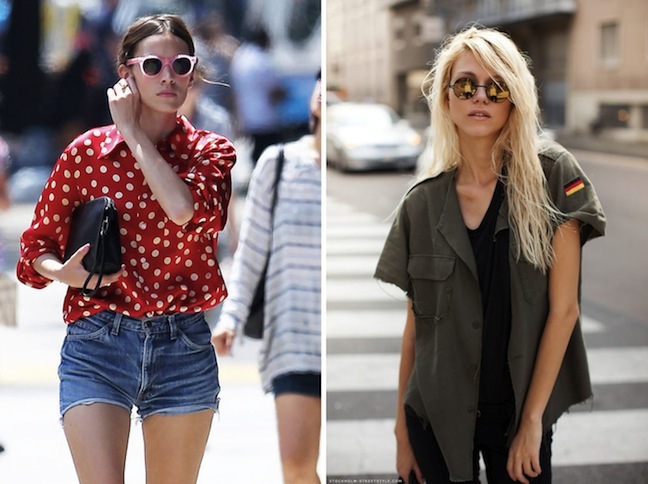 those rounded sunglasses are so gorgeous! These glasses are so fun! Love it & the blog!! Cuuute! Love them all, and the inspiration. I;m sure they will look crazy on me, but I'm going to try. I love round sunglasses, but they do not suit my stupid face at all! I love these sunglasses ! Love these funky round shades....although I have yet to try it cuz I'm kind of scared to do so actually!